Club Penguin Cheats by Mimo777 Club Penguin Cheats by Mimo777: Club Penguin What's New Membership! Members, will you save the city of destroy it? 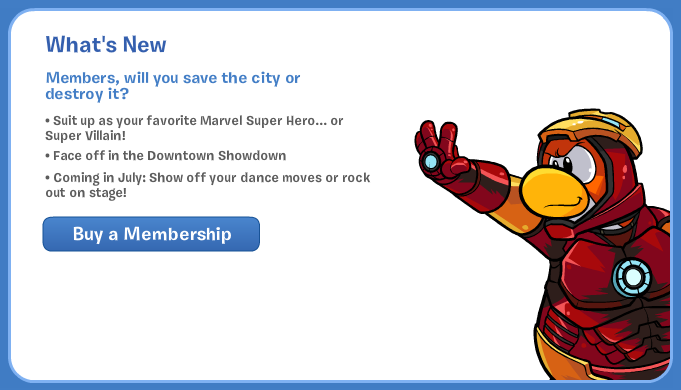 : Suit up as your favorite Marvel Super Hero... or Super Villain! : Face off in the Downtown Showdown! : Coming in July: Show of your dance moves or rock out the stage!